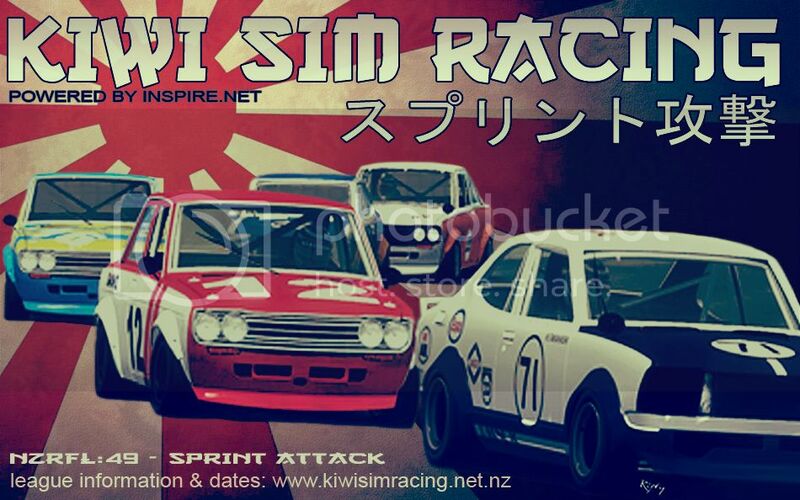 Round 6 of our Kiwi Sim Racing スプリント攻撃 - Sprint Attack series takes us to the home of the white flag - France. This track isn't as flowing as Oulton park and is essentially a bunch of hairpins, so good consistent braking will help here. This is the last race of the championship, so hopefully we get a turnout of people looking to get their drift on. We'll be throwing some pies on again to try and tighten up the racing. The weather might also be inclement. This was abandoned due to lack of numbers. Bit of a shame, but it is that time of year. Points are correct as of now, so Riven wins NZrFL49.